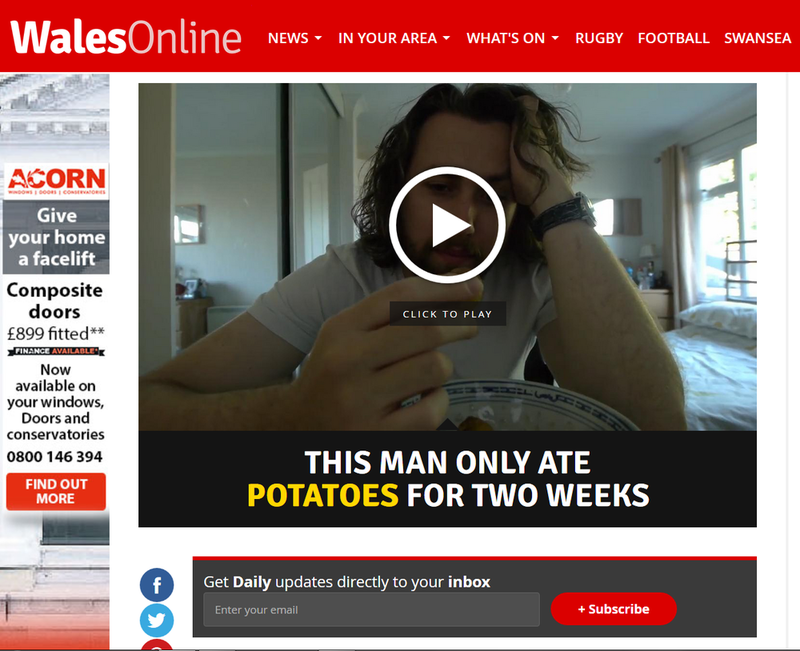 After eating only potatoes for two weeks and documenting it, my extreme dieting made it into Wales Online. Cardiff had an awful Christmas Tree, so I decided to fix it. The resulting film got into Wales on Craic, a Welsh parody Newspaper. Letters home, the WWI film which can be watched on my homepage, won Cardiff International Film Festival's 'Best Welsh Short'. Which got us in the local paper!